Sir Ernest Henry Shackleton was the great Antartic explorer who famously battled severe weather conditions and ice (that destroyed his ship The Endurance) in 1917. 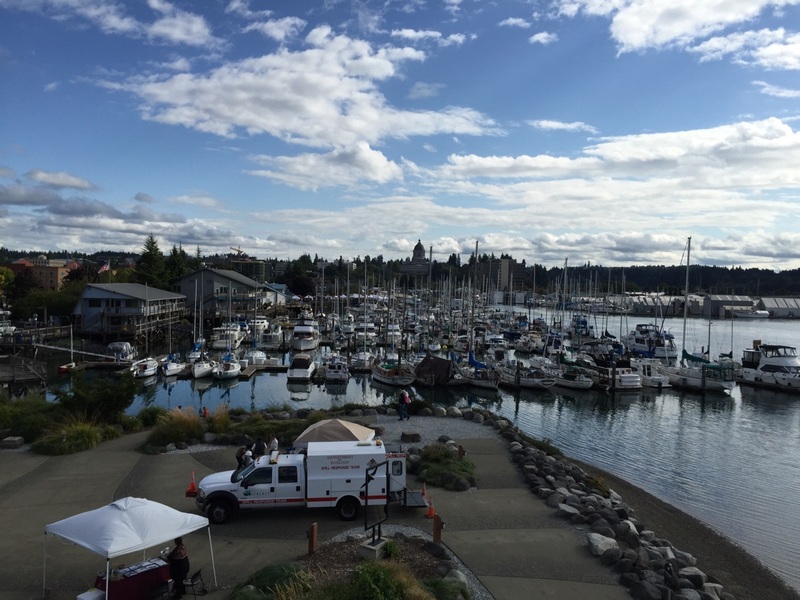 David’s Shackle Pin Voyage took place in August, 2015 in Desolation Sound. No ships or sailors were lost. Only pride. 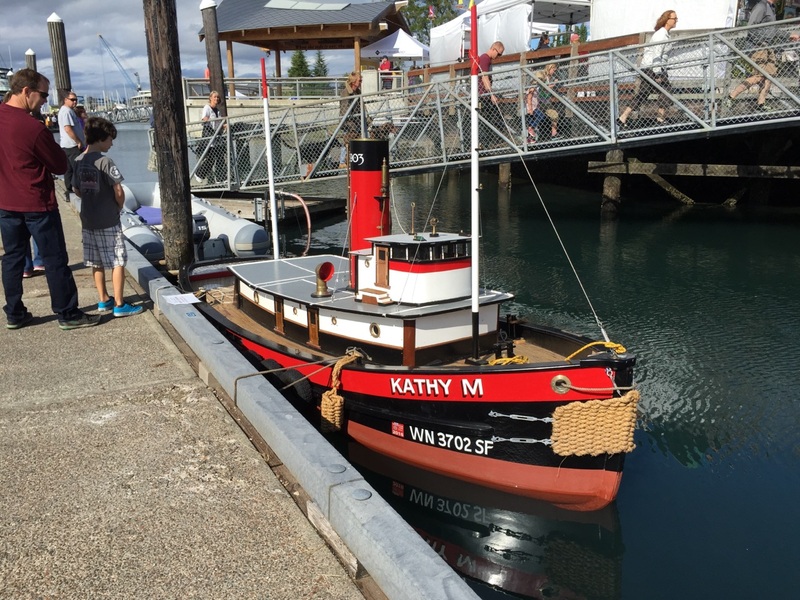 Our story begins the first day of August as the crew of the MV KAYLA set out for waters and lands North of Seattle. 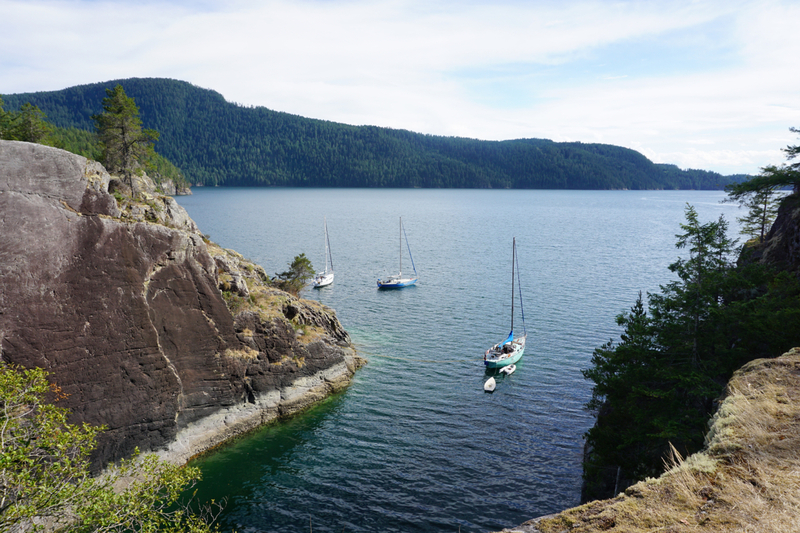 The journey took the crew from populated areas in the San Juan and Gulf Islands that included Friday Harbor, Nainamo, Ganges, Vancouver and, the prize, Desolation Sound. It was in Desolation Sound, Laura Cove to be precise, that the crew first encountered the inviting waters of the protected inlets East of The Straight of Georgia. 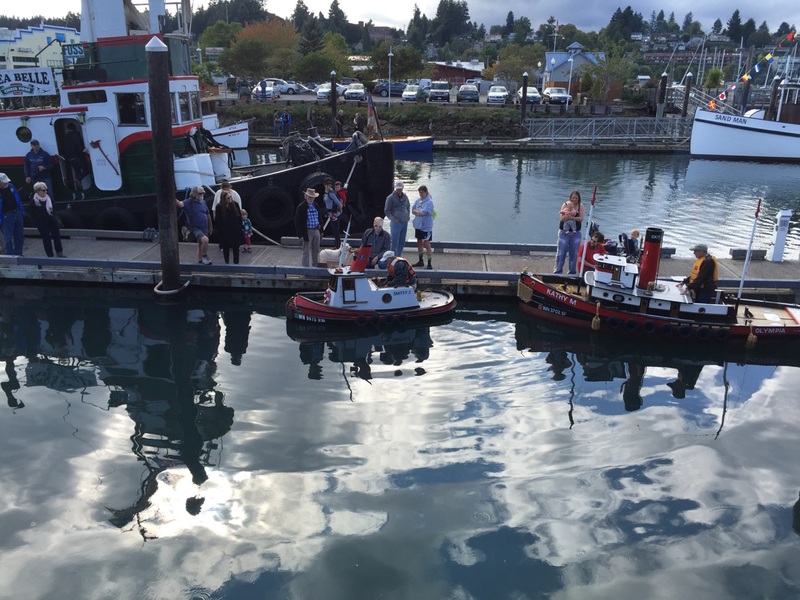 There were dozens of beautiful sail and power boats with families and pets thoroughly enjoying the natural surroundings and the superb August weather. 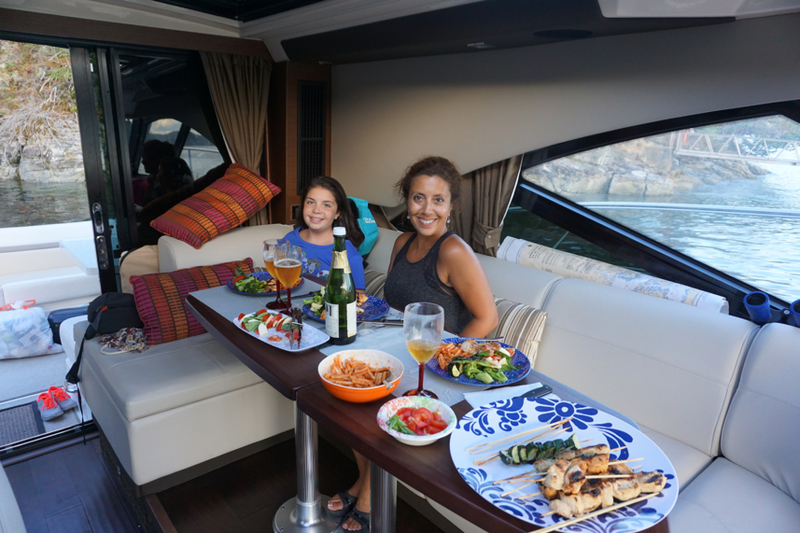 Our first night on anchor was uneventful and the crew slept well. We stern tied near a few power boats. 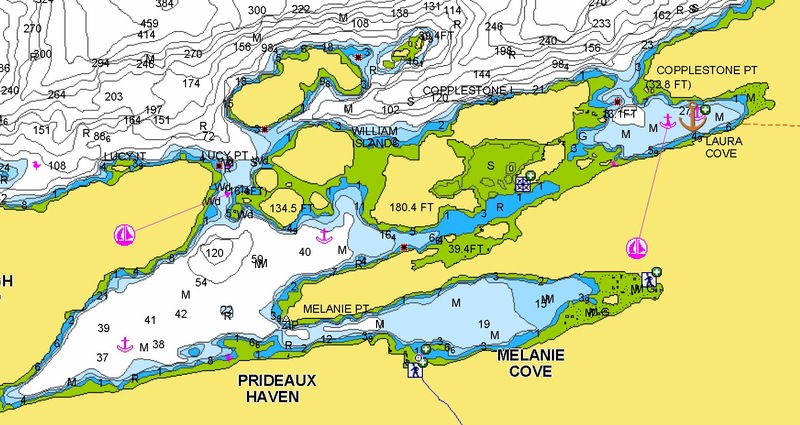 We had arrived close to midday and enjoyed lunch before setting out in our tender to explore the cove as well as to cross over and into Prideaux Haven and Malanie Cove. Fearing Desolation Sound wasn’t so desolated (you could almost walk between the boats – and cell service was superb! 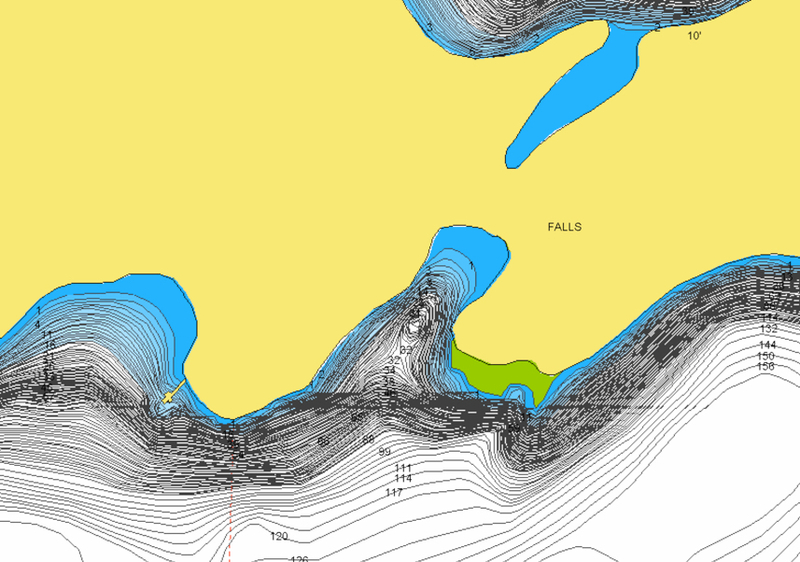 ), the crew decided to seek a second anchorage location for the next evening. After reviewing lots of information and weighing the positives and minuses of numerous locations it was decided to travel about 13nm to Teakerne Arm and the famously warm freshwater Cassel Lake. This location proved far more desolate (though our junior crew member’s iPhone 5S was still able to get a cell signal!). 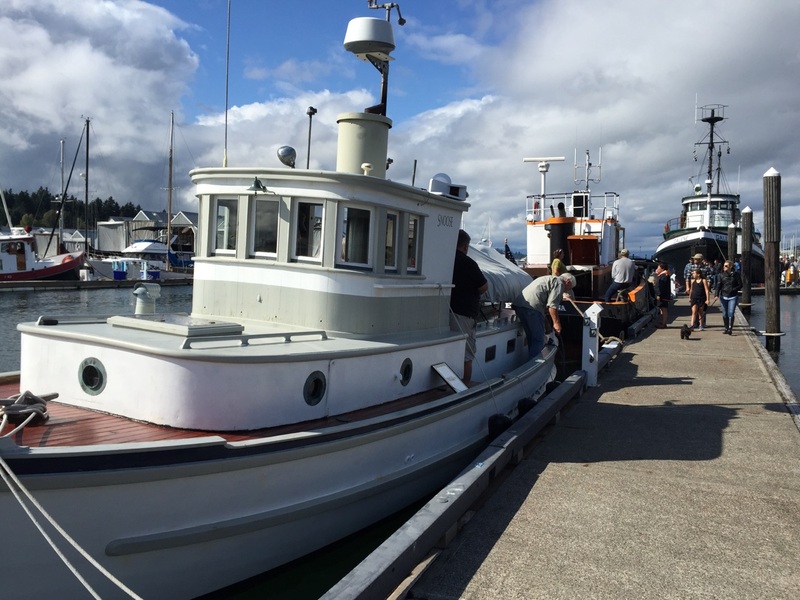 There were only a few boats when we arrived, including a beautiful and very large yacht belonging to a famous Seattle tech entrepreneur. Soundings indicated a steep / rapid change in the under water terrain. 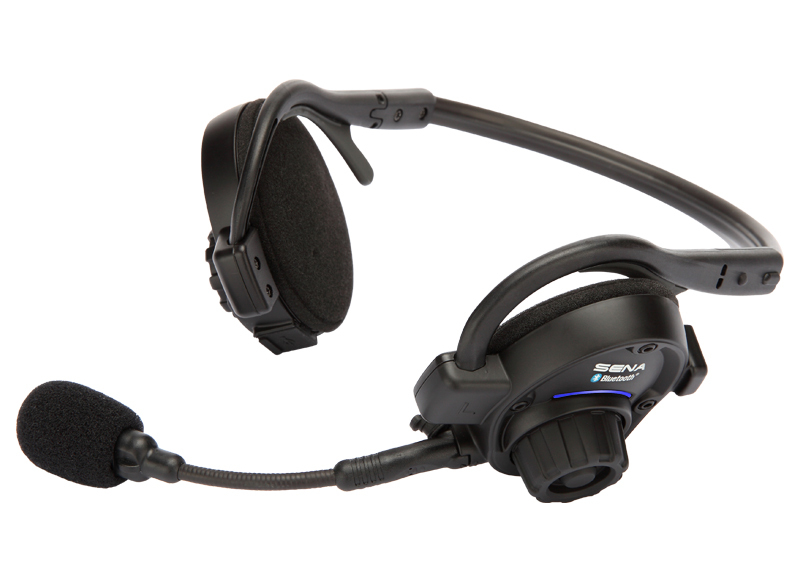 Ideal for anchoring with a stern line. Anchoring in Teakerne Arm proved fairly easy. While the water is very deep there are steep walls toward the shore. 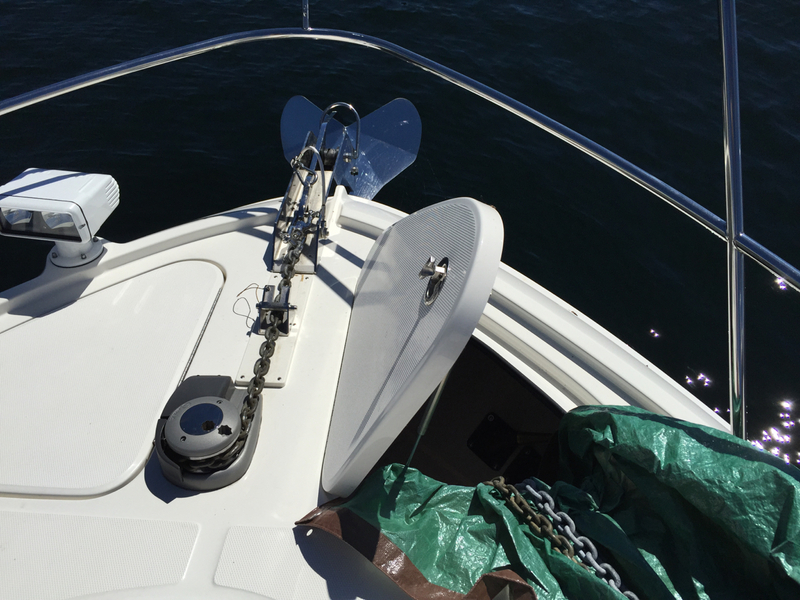 Within feet your depth can change from hundreds of feet to 60 feet – which is where we dropped anchor. 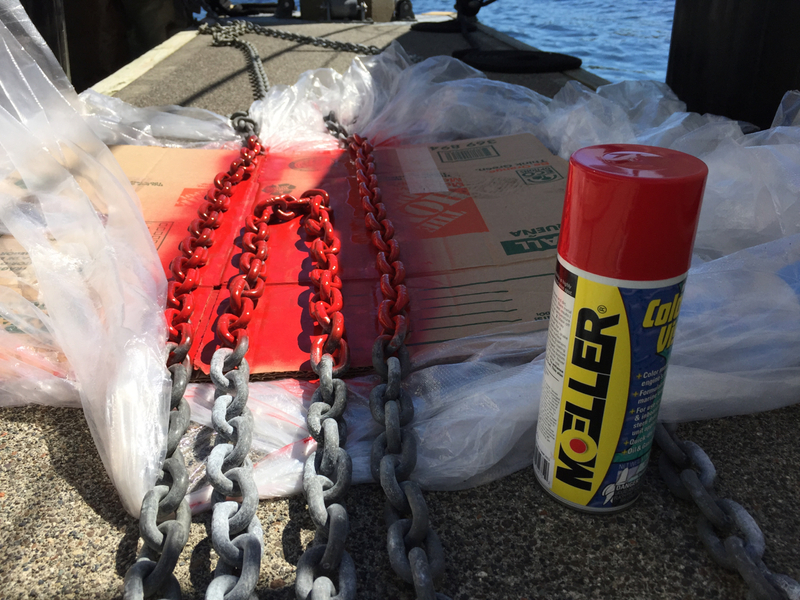 A recent chain painting exercise proved very useful and we dropped a total of around 200 feet of chain as we slowly backed the KAYLA toward its temporary resting spot close to shore. 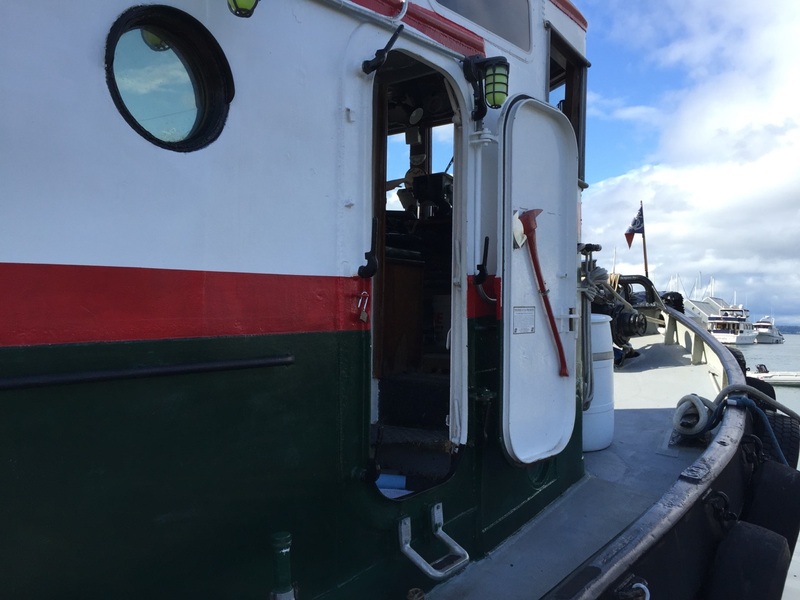 A landing party was assembled in the tender and took our stern line to shore where it was attached around a willing tree and returned to the boat where it was made fast. With anchor and stern line set, the vessel was positioned securely, where it would remain, as planned, for the next 20 or so hours. 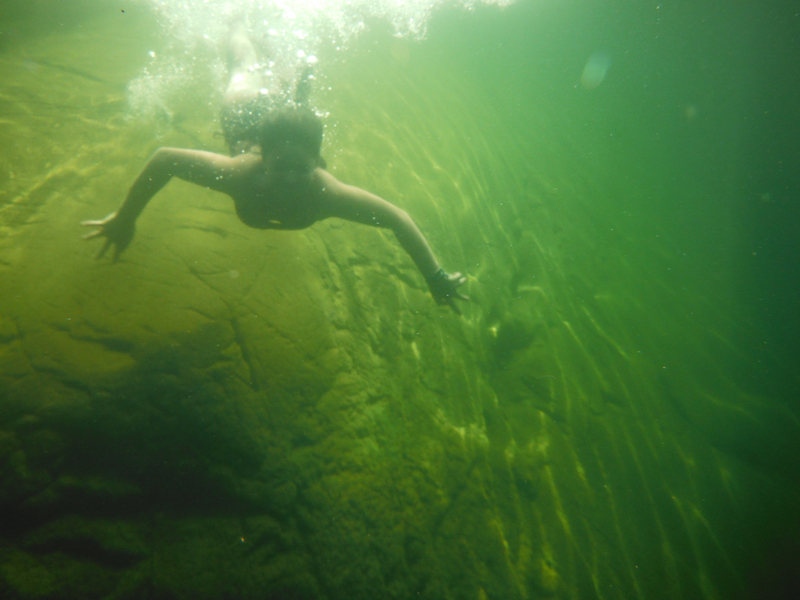 During that time we enjoyed a short hike to Cassel Lake where we swam in what were probably close to 80 degree waters. The short hike to the lake was fun and, at times, challenging. 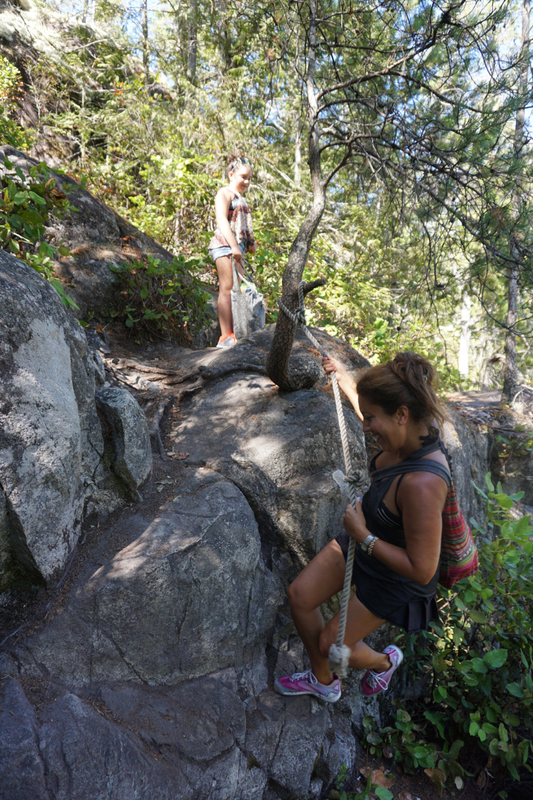 In two locations along the way ropes were in-place to help climb and swing around obstacles and steep rock faces. We all did fine but imagined it would have been difficult for Kayla, had she made the trip with us. We planned to leave the following day, and woke up early specifically to meet our schedule and get a jump on our anticipated 95nm journey to Vancouver. Well-placed stern lines are great because they’re so easy to detach. We were able to pull ours from the tree line easily, and started stacking a big bundle of bright yellow polypropelyne line on the aft deck. Cathia took up the job of retrieving our anchor. I could hear the chain making its way up and into the boat. Everything seemed to be going perfectly until, during a quick washing dunk (to clean off some of the debris that had collected), the windlass decided to, essentially, “raise it’s hands” and allow the chain to fall freely back into the water. By this time we had pulled ourselves into deeper water and I was afraid the chain would all but completely run out into the deep. 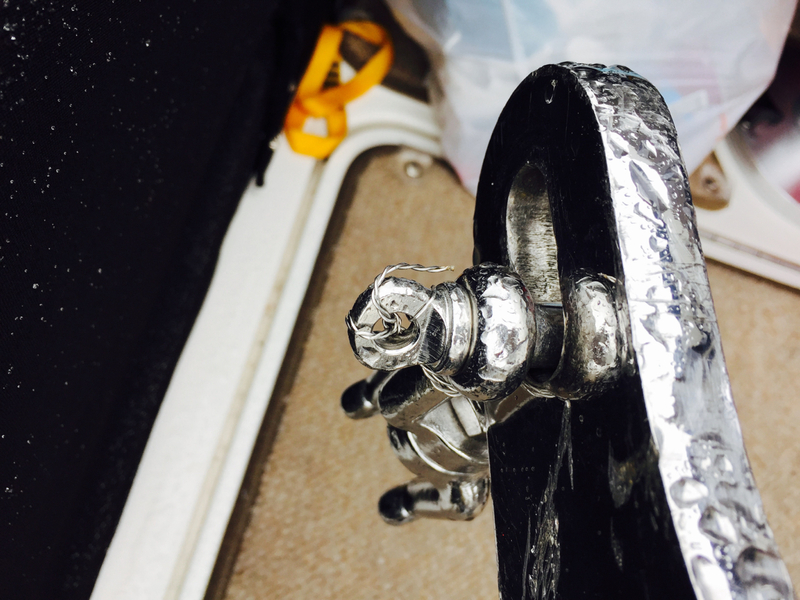 While we didn’t make the rookie mistake of having a chain whose end isn’t attached to the boat, I wasn’t looking forward to having 200+ feet of chain yank violently on a fixture inside the chain locker attached to the boat’s hull at the very end. I was able to run up to the bow and, with my foot, flip over the mechanical brake, halting the chains travel. It took a moment to discover that the catch that prevents the windlass from freely releasing its load had been pulled out, or came out. How or why that happened is still a mystery. 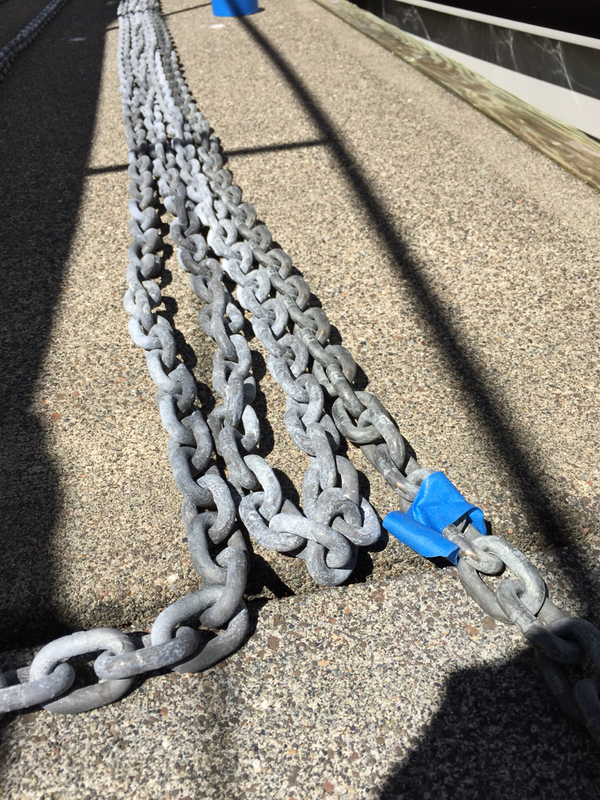 But we realized that our first order of business was to retrieve the chain and anchor. We had one before. Now we have two! This time, though, things moved more slowly. Had we damaged the windlass? Was there an electrical problem? 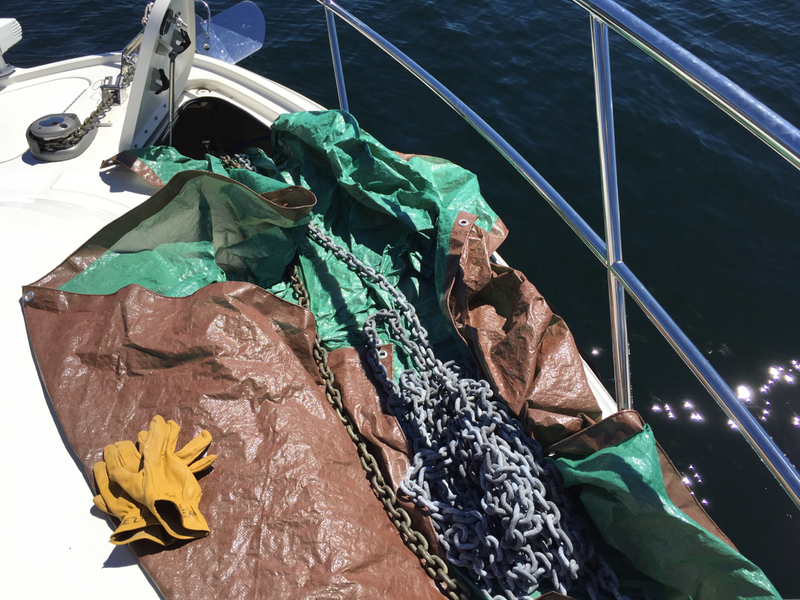 It wasn’t until about 170 feet of chain had been retrieved that we discovered the problem. We had captured another anchor (and chain)! No wonder our little windlass was working so hard. In fact, at one point we tripped the breaker for the windlass. 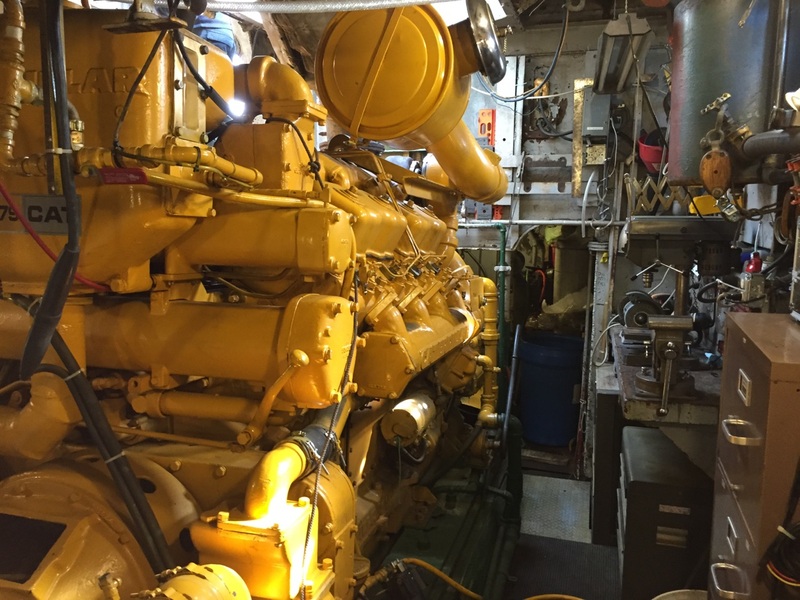 On our boat it’s located in the 240V cabinet in the engine room. 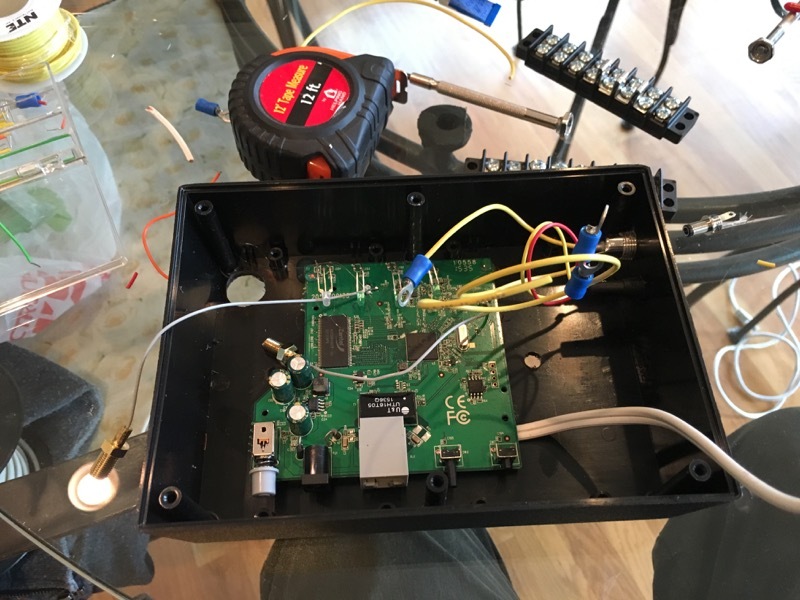 Not sure why since it runs off the 12v service. Personally, I prefer not to be playing around in the high voltage cabinet. We were tired and were now faced with having to separate a fairly heavy object and its supporting chain from our own ground tackle. At about this point in time we could have used Superman. He wasn’t available so we made a series of movements, up and down, to see if the visiting anchor and chain would separate. They didn’t. 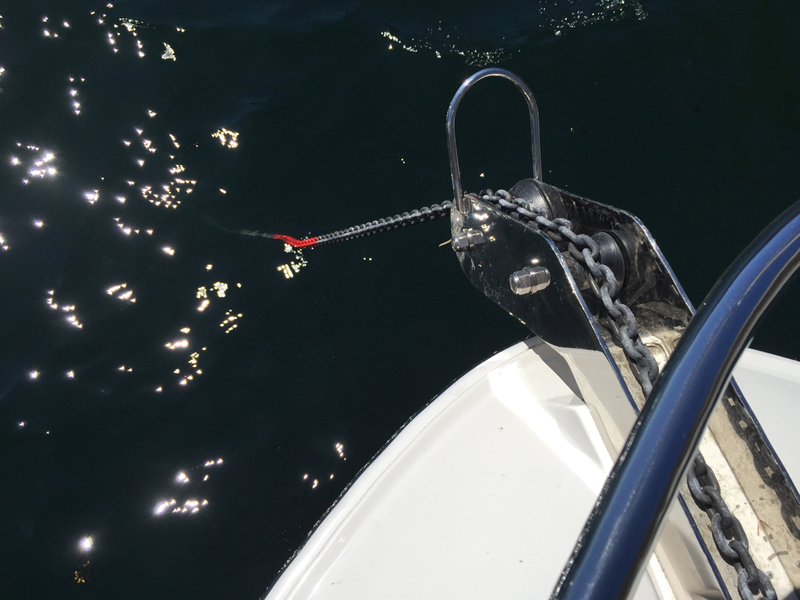 After what seemed like a really long time (but, in reality, was only about 5 minutes) we decided the best course of action would be to separate our anchor from our chain and allow the captured equipment to drop freely. 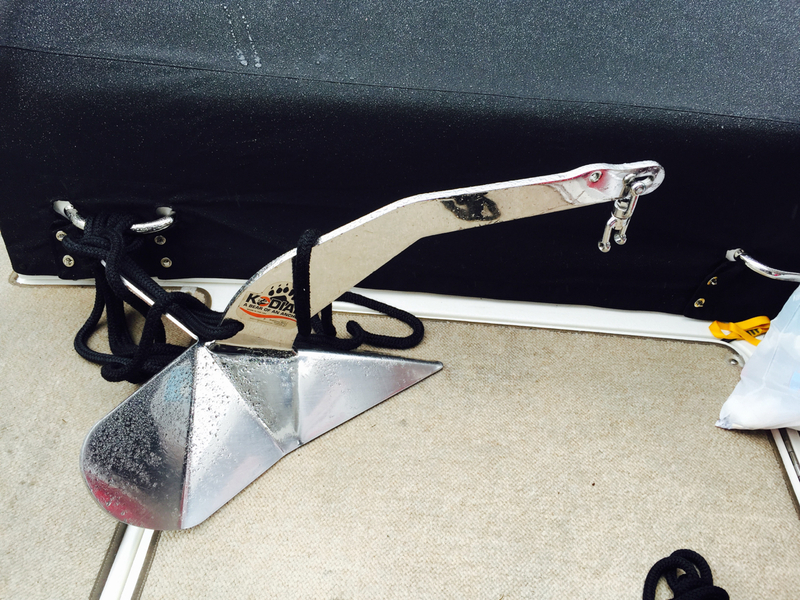 The only problem – our anchor is close to 70 pounds and was also carrying someone else’s anchor and its chain. 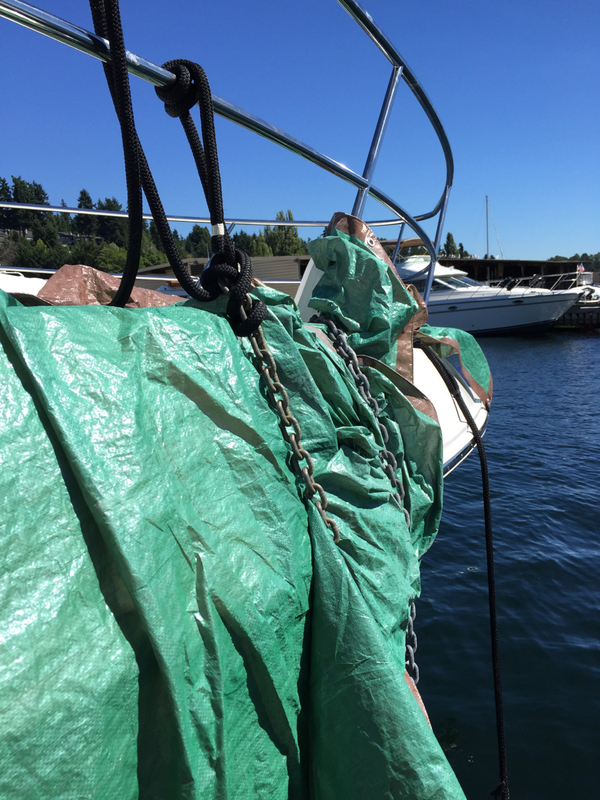 We grabbed two dock lines and fastened them to our anchor. One of them went into the anchor’s emergency release and pull hole, giving us a secure, positive way of securing it from loss (provided we tied our line properly). The second line was wrapped around the anchor using a simple half-hitch. The next task was to remove one of the shackle pins that connects our chain to our Jaw / Jaw swivel that’s also connected to the anchor. It was under heavy load. With the anchor I always use work gloves, and I was glad I had them on this time as well. 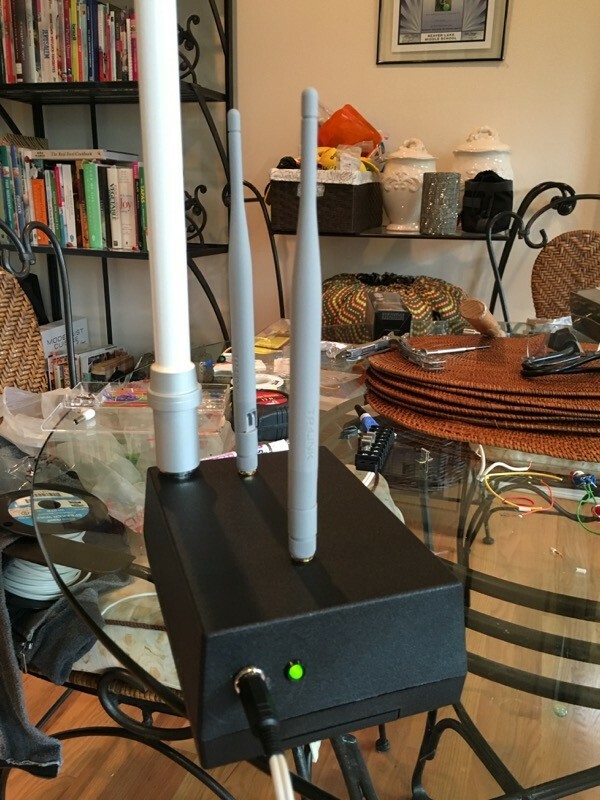 I used wire snips to cut the safety line that secures the pin. Then I began turning the pin, slowly. It took a while and was awkward with the angle I was forced to work. Finally I was able to pull it from the swivel and our anchor fell away, only to be secured by our lines. There was still a “clump” of foreign chain stuck to our chain but a careful whack released that as well. We were free! We moved the boat a couple of hundreds yards off shore to continue work. 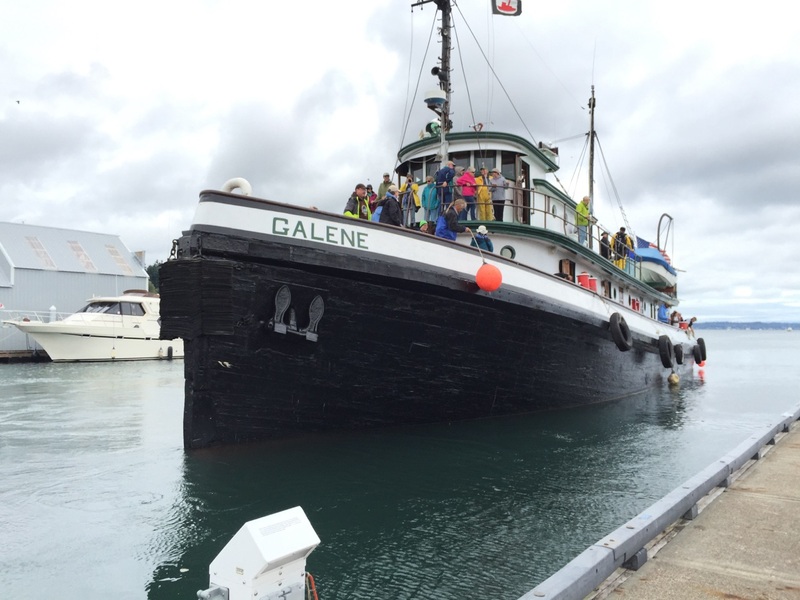 The first task was to pull up the anchor onto the bow. That was much harder than we imagined. Since we were both mentally and physically exhausted the anchor’s 70lbs seemed much heavier. Still, we managed to lift it up and over the bow rail. I thought it would make sense to leave it on the bow for our voyage South to Vancouver but Cathia, smartly, suggested it would be more secure aft. She was right. We hit some rough water that morning and I can only imagine the anchor doing some major fiberglass damage had it been allowed to remain on the bow. Heck, it might have even threatened the front windshield. Who’s anchor and chain did we pull up? We weren’t sure. There was another power boat anchored next to us, and it might have been theirs. During our struggle to free the anchor and line their boat didn’t appear to move at all, despite a strong wind. We suspect we discovered an abandoned anchor and chain. Even if it did belong to the other boat we managed to free it and there appeared to be sufficient mass in the chain alone to secure the boat’s position. We made it to Vancouver after a few hours of traveling through heavy fog with, at times, only 1-2nm visibility. Our radar allowed us to travel safely at a fast cruising speed, but keeping a lookout for crafts and debris left us exhausted. After two days in Vancouver we spent two days on Salt Spring Island at Ganges and then traveled home. It took a few days to find a new Jaw / Jaw swivel for our anchor. 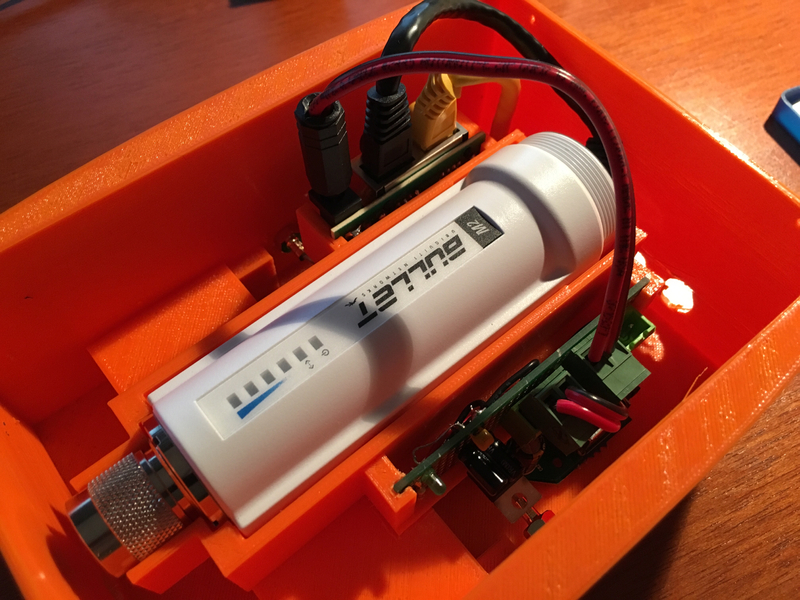 We needed a 1/2″ size, which is pretty beefy – and not as common as the smaller sizes.